It isn't often that two challenges have the same theme at the same time. 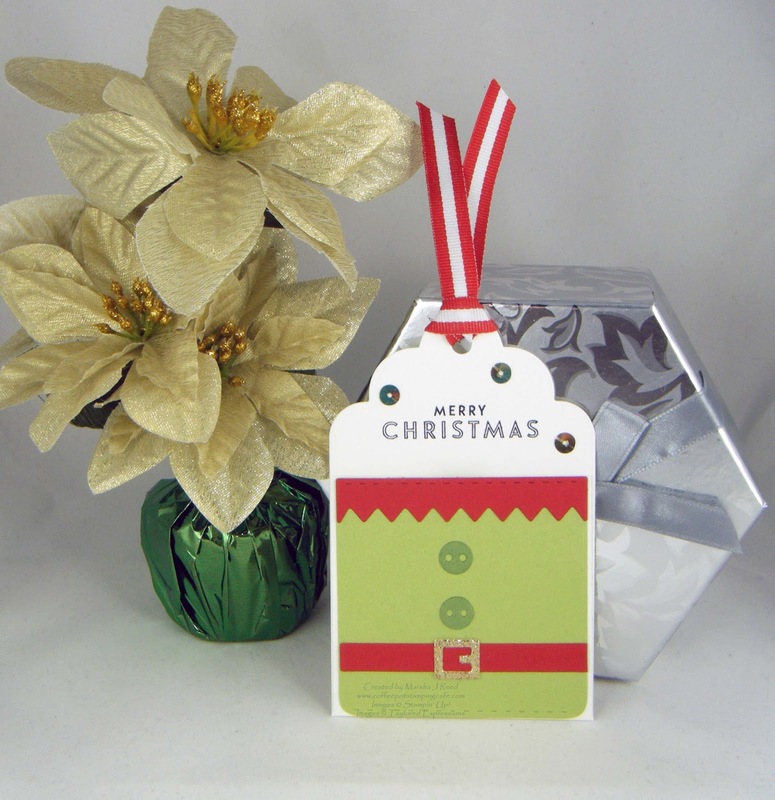 I was thrilled to see that the Stampin' Royalty Challenge and the Just Add Ink Challenge both asked us to create holiday gift tags. It gives me the opportunity to share a gift card holder that was one of the Make & Takes at the October 2016 Stamp Joy Event put on by Taylored Expressions. There were tables set up for us to make ten different projects. I loved this gift card holder that looks like an elf''s vest. As you can see it holds a gift card beautifully. I don't have a list of the supplies, as everything was prepped and ready to go for us. I added the sentiment and the sequins after I was home. The sentiment is from the Flurry of Wishes stamp set by Stampin' Up! My tag is entered in the Stampin' Royalty Challenge. For all the challenge details, click the image below. My tag is entered in the Just Add Ink Challenge. For all the challenge details, click the image below. What a cute concept Marsha. 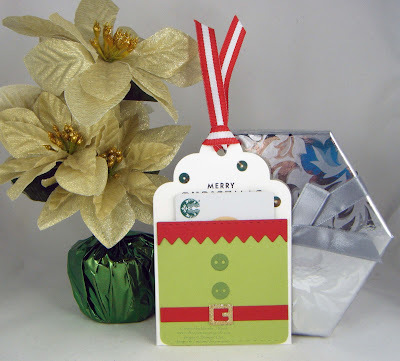 I love these sweet "ELF" tags and a bonus that they hold a gift card...That vest is super cute! Thanks for sharing at Just Add Ink. Thanks, Nikki! It was one of my favorite Make & Takes from the Stamp Joy event. Very sweet, and practical! Thanks for sharing your lovely creation with us at Just Add Ink this week, Marsha. Thanks, Christine! I have to credit that fun design to Taylored Expressions. It was one of the Make & Takes at their October Stamp Joy event.